You guys know you will always get a very honest dishing of my life and thoughts over here. I like to live by the no filter kind of lifestyle these days. Admittedly though one thing I’ve been hesitant on sharing or better yet being open about has been my battle with my skin … everything from acne (damn hormonal acne) and excessive dryness to sun damage (I was a tanning bed gal back in HS thanks to my competitive cheerleading days) and more. 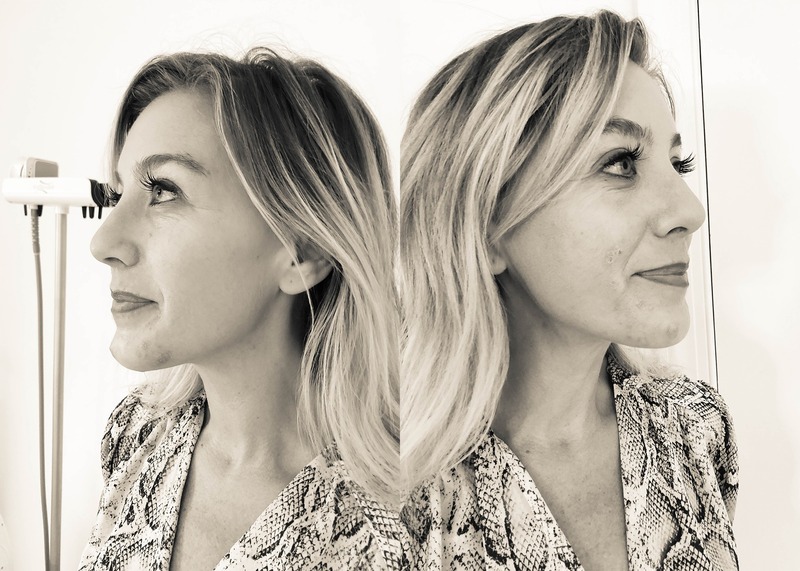 A few months ago, as I was in the midst of a nervous breakdown over my face breaking out my friend Liz from The New York Stylist (and now lifesaver) said she had been battling some serious skin issues as well and her skin looked immaculate. You may think I’m being dramatic but the honest truth is it doesn’t matter how the world sees you, if you are self-conscious about the skin you are in you are always going to have that weight on your shoulders. My self-confidence was taking a brutal hit as my face broke out in one of the worst hormonal acne cases I had experienced in year combine that with a horribly stressful time in my life and it was the perfect storm. I was incredibly self-conscious and admittedly not myself. As I expressed all of these feelings Liz immediately put me in touch with Dr. Imber at Youth Corridor. I was exhausted and my skin was too, something had to change and well meditation and soaks just weren’t doing it. I made an appointment that day after I left Liz. I have to say, the team are genuinely the sweetest, most knowledgeable group of doctors and nurses. They put me at ease, assuring me that they would get me to the same place Liz was in her battle. And they have yet to disappoint. I’m feeling and looking more like myself every day and have them to thank. Everything. And this is not a joke. Any new treatment, product, service, wash. You name it and I tried it. Flat out, 100% caused from hormones (the biggest cause) combined with an immense amount of stress and a lot of air/water changes. Note, running your own business is not easy, traveling a lot does a bit of damage and then there is the stress of relationships which is a whole different topic to be saved for cocktails and lots of them. What has been Youth Corridor’s approach? First up routine overhaul: Immediately upon hearing the complicated routine I had put myself on (and in my defense I was desperate so was using everything under the sun) they told me to halt using all other products. I needed a fresh start, I needed to start using an actual routine. So I went home and pulled out hundreds of dollars in products that were then either tossed or kindly given to my very gracious girlfriends. See below for the run down of the Youth Corridor routine I’m swearing by these days. Next up the treatment plan:A combination of Dermaplaning, with the Youth Corridor and a No Peel Peel. My thoughts:Neither of these hurt one bit and truthfully I anticipated a little pain. The Dermaplaning was interesting, it essentially scrapes away your dead skin, something that my dry, overworked skin desperately needed. Next up was the No Peel Peel.They swore there would be no redness or downtime and they were right. The peel was quick and painless, allowing my skin to breathe new life into it. I walked out without makeup on, while a little self-conscious my skin already started looking incredible. Over the course of 6-weeks with the new Youth Corridor daily routine my skin immediately started clearing up and evening out. I went back 6-weeks later and the team there even said they couldn’t believe the dramatic change. Over the course of the 6-weeks the swelling in my spots and redness had drastically gone down and was nearly gone. I did another round of treatments and will be doing a third round soon. Cleanse using the Youth CorridorDual Action Cleanser. Apply to dry face using light pressure and then rinse twice with warm water- not hot. Apply RetinUltimate to entire face. A little goes a long way- do not rub it in as it will start to pil. Just for my readers I’m giving you all 20% off PRODUCTS AND TREATMENTS at Youth Corridor!